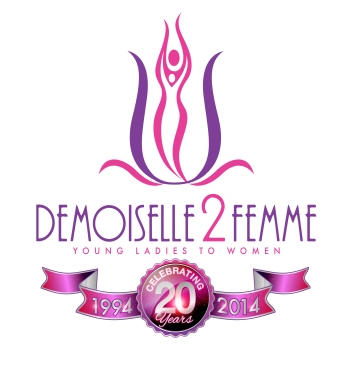 Demoiselle 2 Femme, NFP (D2F) is committed to providing holistic programs and services that transition girls into successful women. 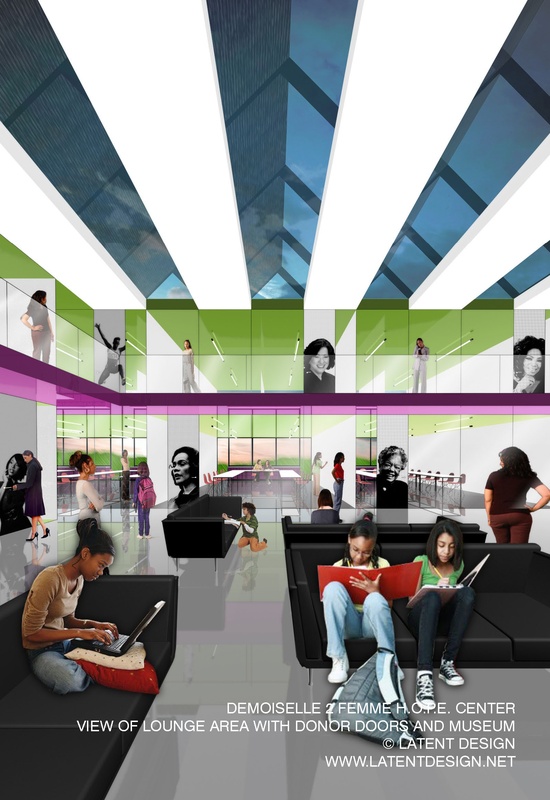 D2F provided after school programs to high school girls since 1998, and in 2008 announced its plans to build a state of the art facility for girls. The purpose of the H.O.P.E. (Honor Opportunity Purpose Endurance) Center for Girls is designed to inspire adolescent females ages 12-18 to achieve personal, academic, and social success. Upon completion, the H.O.P.E. Center will serve as a community-based institution which provides gender-specific and responsive programming to increase the proportion of girls ages 12-18 who complete high school and matriculate to post-secondary education; increase the proportion of girls who avoid teen pregnancy, drugs, violence and alcohol; increase the number of girls who pursue STEM careers, and increase the number of girls who respect their community and are positive contributors to society. The principles of H.O.P.E. are integrated into programmatic activities and development sessions which fortify the bonds of personal achievement and social responsibility. The building will utilize green technology and will include an e-library, quiet room, technology center, science lab, dining hall, gymnasium, exercise facility, culinary kitchen, theater, art studio, dance studios, offices, classrooms, multiple rehearsal rooms, and a walking museum which celebrates the accomplishments of professional women who grew up in urban communities with a special exhibition on First Lady Michelle Obama. Upon completion of enrollment, girls will be assigned to a 13-week cognitive track and given an opportunity to select a 13-week social track. The cognitive track provides students with personal and academic development (math, reading, science, social sciences, english, foreign language, etc.) classes which challenge participants to fully embrace the principles of Honor, Opportunity, Purpose and Endurance. Students will also gain knowledge in STEM, urban agriculture, humanities, social justice, cultural diversity, problem solving, curating, critical thinking, service learning and finance. The social track allows participants to select from music (voice, instrumental), art (painting, sculpture, photography, graphic design), dance (ballet, modern, tap, jazz), culinary arts, and theater (acting, set and costume design). With the collaborative efforts of more than 60 community partners, the H.O.P.E. Center will become a catalyst for change within the urban environment. The H.O.P.E. Center will provide a vast array of opportunities to positively impact girls outside of the target community through community based research initiatives with local and national institutions. The Institute for Research and Policy on Urban Girls (IRPUG) will be a center for research and public policy information which focuses on the healthy development of girls. The goal of the IRPUG will be to provide research data that helps to improve the lives of girls who reside in urban communities. Through innovative research projects and published outcomes the institute will support the development of program and services at the H.O.P.E. Center as well as provide information to educational institutions, nonprofits, government agencies, public policy organizations, parents and girls themselves. To view the 2014 Concept Booklet for the H.O.P.E. Center click here.